A Muslim man was beaten to death in Rajasthan on Friday night by villagers who accused him of cow smuggling. The police have identified the man as 28-year-old Akbar Khan. Villagers in Ramgarh saw two men with cows and attacked them, according to the police. The two were beaten up and one of them died on the spot. “Akbar Khan, a resident of Kolgaon in Haryana, and another man were taking two cows to their village through a forest area near Lalawandi village in Alwar last night, when a group of people severely thrashed Khan, said Subhash Sharma, the officer at Ramgarh police station. The new lynching comes barely a year after Pehlu Khan was killed allegedly by cow vigilantes in Alwar district. Pehlu Khan, 55, was beaten to death by suspected cow vigilantes in Alwar while he was transporting cattle on April 1 last year. In another incident on Tuesday , a day after the Supreme Court urged the Parliament to enact a fresh law to rein in lynching incidents across the country, toll plaza staff and cow vigilantes in Kota manhandled and robbed two persons ferrying milch cows and calves from Rajasthan to Madhya Pradesh over suspicion of cow smuggling. 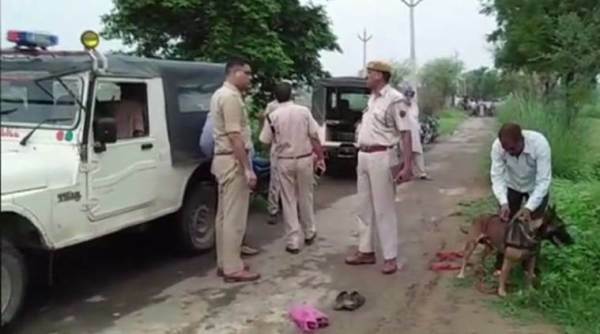 The cattle owner Praveen Tiwari (30) and his driver, Ahmad Ali (40), were allegedly beaten up on July 17 while they were returning to Devas in Madhya Pradesh where Praveen runs a dairy farm. “I told them that I am a Brahmin and transporting milch cows, which are usually not smuggled for culling, but the mob did not listen to us and continued to beat us,” Praveen Tiwari said. Police have arrested five toll plaza employees — Yogesh Kumar (20), Arjun Davar (20) , Naresh Kumar alias Nikku (20), Arjun Patona (20) and Ajay Hari (19) on Wednesday. Police have lodged a case against the 14 accused under section 143, 323, 341 and 384 of IPC. The nine cow vigilantes have not been identified yet.